The UK is an excellent location for international students to obtain their degree. The quality of teaching instruction and the prestige of a degree from a British university is a major attraction for many international students. Coupled with the opportunity to perfect your English as well as experience a new culture steeped in history and tradition, England is a top destination for over a million international students from all over the world. Every year we advise international students from all over the world on applying to college in England (known as university in England). There are a number of reasons why international students consider college in England. While of course there are a number of academic benefits to going to college in England there is also a great deal of value and immersion by studying in England for 3 years. First, the academic benefits. College is a means to an end and involves a great deal of financial and personal investment. Graduating with a degree from a college in England is highly respected all over the world. It is immediately transferable, recognisable and highly respected by employers all over the world. The academic skills you will acquire by attending college in England will boost your chances of securing the kind of employment you are seeking. College in England is well known for the challenging academic environment it places on students. Undergraduates are expected to work independently, organise their own timetables and be entirely self-motivated. No one will come chasing after you if you have failed to submit an assignment. Students are treated as responsible adults. There are also countless courses to choose from, both at the undergraduate and graduate level. In many instances you can combine courses from different programmes. This flexible approach allows students to design and craft the kind of course they are most interested in studying. For these reasons, the university system in England has been the basis for higher education standards throughout the world. There are of course non-academic reasons as to why international students choose to go to college in England. Firstly, the cost. Tuition fees for EU citizens cost around £9,000 per year and for non-EU students, depending on the course, around £25,000 per year. In addition, undergraduate degrees in England are three years long, not four, so the savings compared to US institutions can be significant. Besides cost, experiencing a new culture, becoming more international in your outlook as well as expanding your network with intelligent and motivated people from all over the world are some of the advantages of attending college in England that will last a lifetime. Oxford and Cambridge are the two leading universities in England. Both universities have over 800 years of teaching tradition. They are world renowned for their teaching quality, research facilities and their unique teaching approach called the ‘tutorial system.’ This is a teaching method where the focus is on regular, very small group teaching sessions, usually a tutor and only two students. As well as tutorials, the teaching methods include seminars, lectures and, where relevant, lab work and language classes. Aside from Oxford and Cambridge there are a number of excellent world-class universities including London School of Economics (LSE), University College London (UCL), Imperial College and King’s College London. Other top universities include Bristol, Durham, Manchester, Warwick, SOAS, Edinburgh and York. International students have two main options when deciding to attend college in England: either undergraduate (Bachelor’s) or postgraduate (Master’s or PhD). There are different types of Bachelor degrees offered in UK, including Bachelor of Arts (BA), Bachelor of Science (BSc), Bachelor of Education (BEd) and Bachelor of Engineering (BEng) degrees. For Master’s programmes some UK universities have added a specialized undergraduate Master’s Degree program to their curriculum. These programs do not exist at every university but they are especially attractive to those who are intending to go directly to postgraduate study after obtaining their first degree. These programmes usually last for four years and include what you would typically learn when obtaining your first degree; in essence it combines your first degree and your first postgraduate degree into one program. These programmes can be extremely cost effective as students will be paying undergraduate fees throughout the entire degree programme. There are two main options open to international students who want to apply for college in England. The first is to transition into a UK secondary school in Year 12 (equivalent to Grade 11 in the US). Students who take this option will spend two years in the British education system studying for A-levels. A-Levels (short for Advanced Levels) are the exams students studying in the British education system need to take in order to enter college in England. The second option is to apply to colleges in England from the US education system. Many colleges in England accept applications from candidates who have not studied in the British system and who have not studied A-Levels. Colleges in England are well versed in assessing applicants with international qualifications. For American students, colleges in England will expect candidates to have either SATs or ACTs AND either APs or SAT subject tests. Scores required to submit a competitive application will vary depending on the college you are applying to. Once you have decided on what option to take, there are two main application streams when applying to college in England: one stream is for those who are applying to Oxford, Cambridge or applying to read medicine anywhere AND the other stream is for everything else. Over the summer break between Year 12 and Year 13, students should aim to complete as much of their application materials as possible. It is important to note, that unlike in the US where you need to submit a different application to each college you apply to, in the UK you only need to complete one application and then decide which universities you want to send it to (you have a maximum choice of 5 colleges). All applications are made via UCAS (the Universities and Colleges Admissions Service). Application materials will include a reference and a personal statement. For Oxford and Cambridge the process also includes an admissions test and, if this is passed, interviews. For further information on how we can help you apply to college in England, please contact us. Tuition fees and the amount of financial support available to you is determined by your fee status; in other words if you are a Home student (UK citizen), EU (rest of European Union), Overseas (outside the European Union) or Islands (Channel Islands and Isle of Man). Fee status is based upon where you usually live and your nationality. For Home and EU students, the tuition fees for undergraduate level are around £9,000 per year. UK and EU students can normally apply for a tuition fee loan from the government for the full amount of the tuition fees and usually nothing is required to be paid up front. In addition, many colleges in England have their own bursary schemes and scholarships available to students. For students who are not UK or EU citizens, the tuition fees are higher; depending on the course fees range from about £25,000 to £34,000 per year. In addition, non-EU students are not eligible for tuition fee loans from the UK government. Of course, tuition fees vary on the course you study. Science, medicine and engineering courses, for example, tend to be more expensive than liberal arts and humanity courses. If you are a national of the European Economic Area (EEA) or Switzerland, you do not need a visa to come to the UK to study. If you are not a national of the EEA or Switzerland you may need to apply for a visa before travelling. The type of permission/visa you require will depend on the type of course you are applying to. To attend a full time course for longer than six months you must apply for a Tier 4 (General) Student Visa. We work closely with some of London’s leading immigration consultants and advisors. For further information on how we can assist you, please contact us. Selecting and applying to college in England is a time-consuming and complex process. Often, there is only once chance to get it right in terms of visiting colleges, meeting numerous deadlines, studying for admissions tests, preparing for interviews and applying for visas. Our University Advisory service puts your requirements at the centre of the process. We provide a tailored and fully bespoke university admissions consulting service for every stage of the university application process. We guide you on your course selection, university selection as well as advise you on your personal statement, references and how to communicate your extra-curricular interests in a way that is different from the competition and which resonates with the admissions committee. If we feel your application is weak in a particular area, we will advise you on this and provide recommendations on how to improve it. Applications to Oxford and Cambridge are highly competitive. Furthermore, applications are not made to Oxford or Cambridge per se but to one of the 25 or so ‘colleges’ within Oxford or Cambridge. We have a dedicated Oxford and Cambridge admissions consulting team that provides expert and honest advice on selecting your college within Oxford and Cambridge as well as preparation for the admissions tests and the interviews. 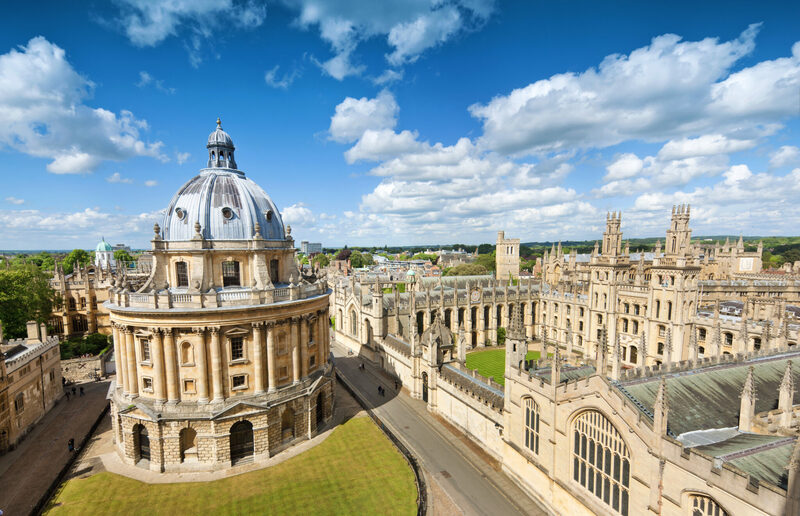 Our Oxford and Cambridge admissions consulting team are all former graduates from one of these two leading universities and have a track record of success, a detailed understanding of the unique application procedures as well as first hand experience life of in one of the colleges. We always start any new placement with an initial introductory call in order to understand your requirements in more detail and to have a clear idea on your ambitions, interests and academic level. During this call, our Director of University Consulting will also explain how we have advised families in previous cases and the results that we obtained for them. After our initial call, we will then lay out an initial road map explaining to you how we can advise you so that you can make a decision before proceeding. For further information on how we can support and assist you on your UK university application, please contact us.